Calling its creations “weeknight wines” belies the pedigree, power and panache behind Poggio Anima. A joint venture between Montalcino superstar Riccardo Campinoti of Le Ragnaie and Ronnie Sanders of Vine Street Imports, Poggio Anima takes a simple idea and turns it into something quite special: They source the best vineyards from existing relationships and produce single-varietal wines that beautifully express their unique regions and grapes. Poggia Anima translates to “Hill of Soul,” and the winemakers embrace the soul of their wines, creating them with no manipulation, water, sugar, or the like. These are pure, authentic expressions of the fruit and the site, offering outstanding Italian wines at affordable prices. This balance of quality and value reflects the founders’ embrace of Yin Yang — balance in all things. 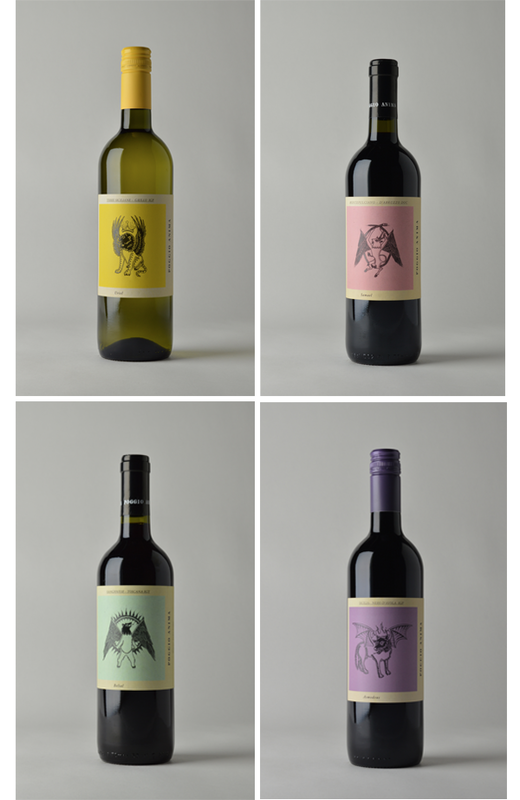 Even their whimsical labels, which depict good and evil (demons and angels), represent the coming together of modern ideas with Old World winemaking practices. Poggio Anima offers soulful, delicious wines at excellent price points — any day of the week. Martine’s Wines is the appointed distributor for Poggio Anima in the state of California.